Cider has been made in Stoke Gabriel, Devon and the surrounding area for hundreds of years. Our small cider house is surrounded by ancient orchards, with an abundance of beautiful, old gnarled apple trees. We make small batches of cider using the apples'natural sugars and wild yeasts on the skin. The cider is 100% apple juice with no sulphites or additional yeasts being added. Our unadulterated cider is a pure expression of the soil and climate of where we live. 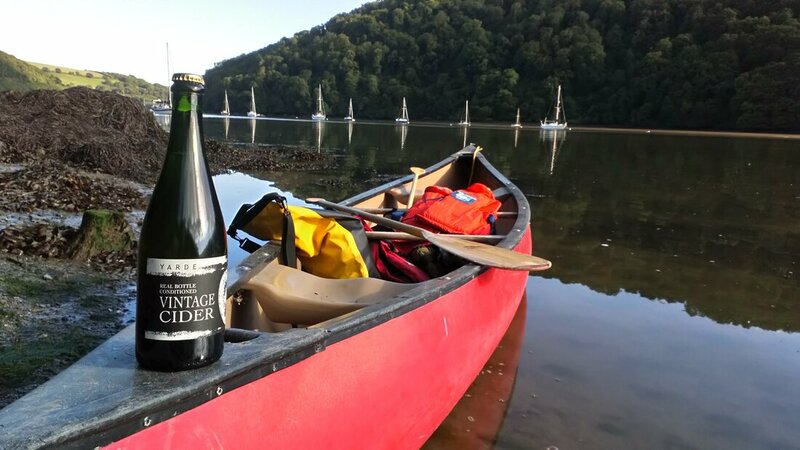 When you drink a Yarde cider or juice, you experience a pure taste of South Devon. You become part of a history and tradition passed down over hundreds of years. Yarde cider is still made the traditional way, by wrapping the apple pulp in cloths and gently squeezing it to maximize the flavours and aromas contained within the fruit. ​Gentle cooling breezes drift off the tidal River Dart making the early mornings look magical. Often cooling mists roll up the valley, tinged with a slight saltiness on the air, onto the surrounding lush green hills and into the orchards. Later the sun usually burns off the cooler air providing perfect growing conditions for the surrounding orchards.